The holiday season is already upon us. In just two weeks, you’ll be getting ready to serve a turkey feast for all of your family and friends. It’s the time of year when gift giving turns into a lifelong habit for many who give. But have you taught your kids the importance of giving to others?? How do children learn to give back to their community? Even simple tasks like walking a dog or making holiday decorations for neighbors can make the holiday season a bit warmer. Children will always want to participate in events their parents get excited about. Find a cause where parents can teach their child many of life’s important skills as they relate to dealing with different kinds of people. That is one of the best ways for kids to learn the importance of helping the less fortunate. Family bonding through philanthropy is something that can bring a family closer over a lifetime. The key is making the act of giving interesting to children so that they will want to make philanthropy a part of their lives. Give back as much as you can. Like most behaviors taught to kids, a giving spirit can be instilled by making it a routine part of life, not a rare activity dusted off for the holidays. Many experts recommend thinking about random acts of kindness. Keep your kids thinking about collecting hotel-size shampoo and soaps for homeless shelters, getting a haircut and donating hair to a good cause, helping to clean parks or walk dogs at local animal shelters. 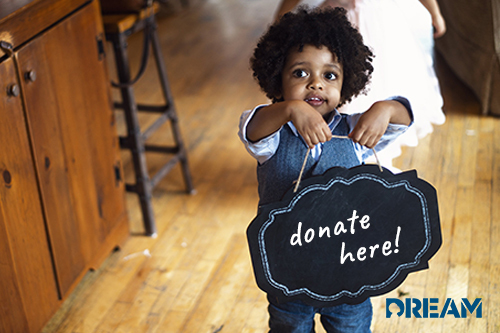 As a parent, you can make giving back to your community a joyous occasion. While giving is meant to benefit someone else, it shouldn’t be a miserable chore or sacrifice for the giver. Many times kids will look forward to a packing party. A packing party can consist of packing up food donations, toys, clothes, or any other item that may need to be shipped off to shelters or those in need. Start small and expand as needed. Start by helping an elderly neighbor who lives alone. Bake him or her some cookies. Then expand by helping a local family in need. Contact your local services office and ask if there’s a family you could help this holiday season. Your family can bring over gifts, holiday meals or help decorate their home. Instill a sense of gratitude. Saying thank you is an important social skill. After the holidays, sit down as a family to write thank you notes. Talk to your children about how grateful you feel for the gifts you received and talk about the things you enjoy most about the holidays. Helping young kids write a thank you note to each person that gave them a gift and tell them to explain what they liked most about it.